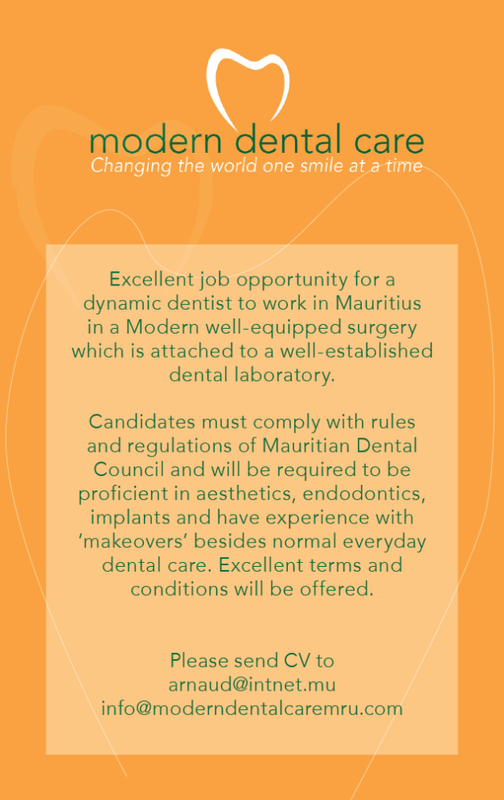 We are a dental company situated in Mauritius and looking to build up our dynamic team. Either employ a good dentist with a minimum of 10 years of experience as well as an orthodontist to join team. The candidate can also be an investor to have better renumerations. We are a now 6 dental surgeons + dental lab adttached) with 4 dental cabinets around the island. We have local as well as foreign dentists in our team.